gatherings galore and good cheer! 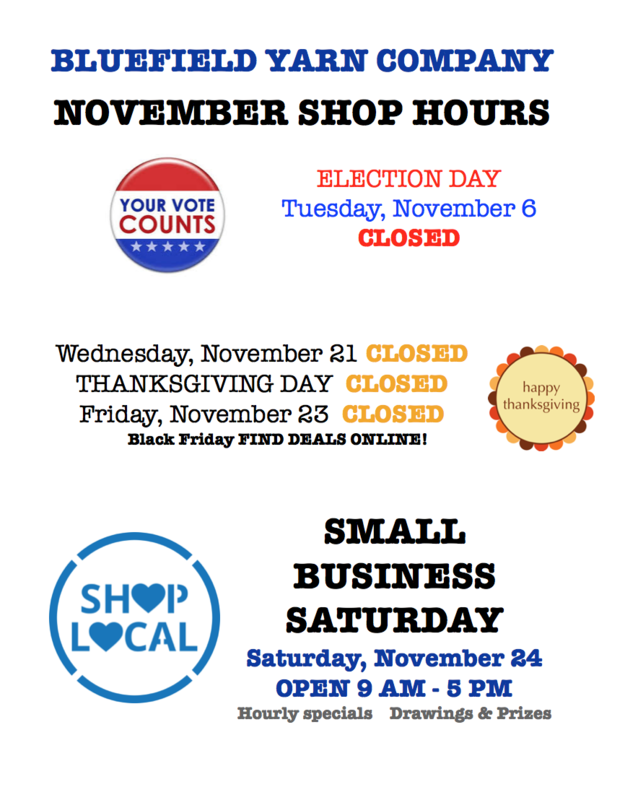 Please read on for Holiday Shopping Hours and the latest specials at the shop! 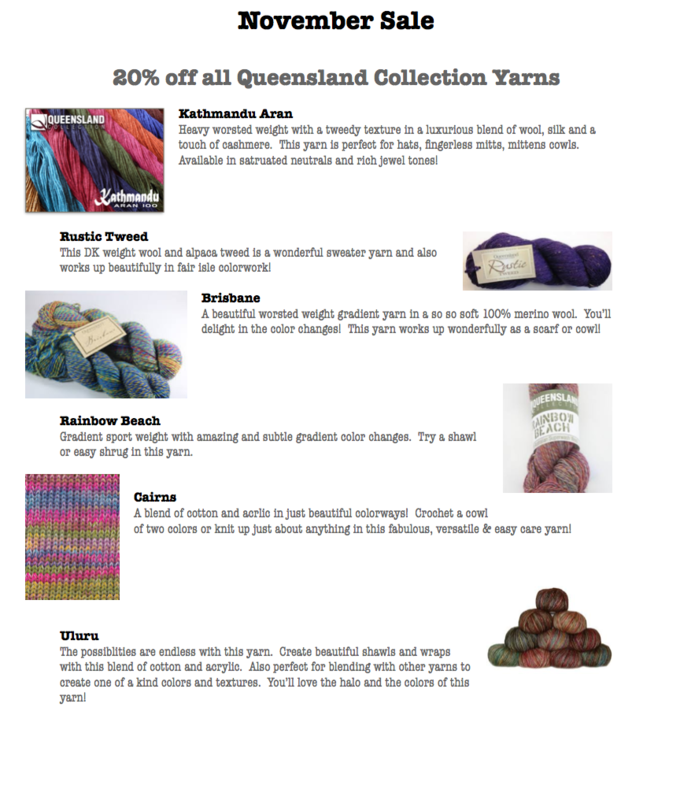 You'll love the Queensland Collection Yarns on sale this month! I am wishing you the best as we begin this holiday season. Take care of you!